Steady and resilient growth performance by multiple Asian economies has led to the centre of gravity of global geopolitics shifting towards Asia. Amid the changing power balance between nations, India has emerged as a bright spot and potential global leader. With an average growth rate of 7.2%, a favourable demographic profile and a large and growing consumer market, India is likely to be the most compelling growth story of the decade. Based on the results of the Global Competitiveness Index 4.0, a new methodology that captures the drivers of long-term growth in the Fourth Industrial Revolution, the country’s growth momentum is set to last. India ranks 58th out of 140 economies, with a score of 62.0 on a 0-100 scale. Significantly, the sustained structural reforms initiated by the government seem to be bearing fruit. 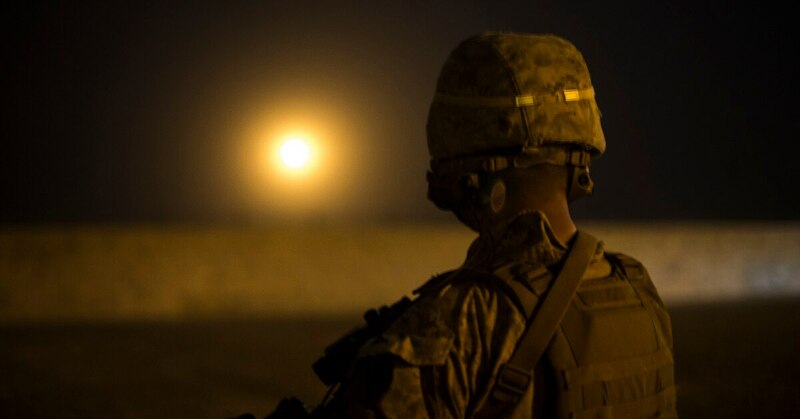 A small group of Marine advisers operating out of Helmand province, Afghanistan, have taken down their Facebook account citing operational security concerns. Task Force Southwest is now in its third rotation to Afghanistan, having taken over the Helmand battlespace from rotation two at the tail end of October. The Facebook account associated with the Marine advisers has been active over its past two deployment cycles, since the Marines returned to Helmand in spring 2017. Two cases in 2018 involving JMB’s female operatives made national and international headlines. In February 2018, two sisters linked to the neo-JMB faction and inspired by the IS’s jihadist ideals were arrested and charged for carrying out separate knife attacks in both Melbourne, Australia and in Dhaka. On February 9, Momena Shoma, a Bangladeshi student enrolled to study linguistics at La Trobe University stabbed her homestay’s landlord Roger Singaravelu in the neck to fulfil a moral obligation to the Islamic State’s call for jihad (Sunday Morning Herald, February 14; Prothom Alo [Dhaka], September 21). Her sister, Asmaul Husna, carried out a similar knife attack targeting Dhaka Police’s Assistant Commissioner Tohidul Islam on February 12 when the local police officials were enquiring about the Melbourne incident and possible JMB-IS links (Daily Star, February 14). Both sisters were in their early twenties and admitted to their neo-JMB links and IS inspiration during the following investigations. Washington has recently taken a tougher tack to growing inbound investment from the People’s Republic of China (PRC) by strengthening the Committee on Foreign Investment in the United States (CFIUS), but its security partners in the PRC’s backyard have not all followed suit (US Congress, August 13, 2018). In the United States, the primary concern is that the PRC is using foreign direct investment (FDI) as a Trojan horse: When PRC companies invest in critical sectors like energy, transportation, and communications in traditionally open economies, Beijing can gain access to critical technologies, data, and infrastructure it can use for military ends. Such investment can also set the ground for technology transfer—both licit and otherwise—and weaken longstanding alliances, put central governments at odds with their regional counterparts, and co-opt business interests as lobbyists for Beijing. Beijing appears to be rethinking CCP General Secretary Xi Jinping’s Belt and Road Initiative, an ambitious bid to reshape global trade by lending money for infrastructure projects in countries across Eurasia. 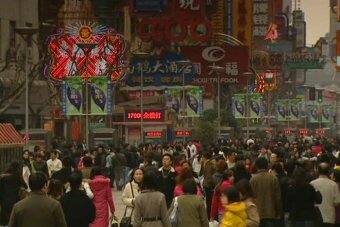 The initiative has come under fire at home and abroad, with domestic critics wondering why the PRC, still only an upper-middle-income country itself, is lending vast sums internationally, while skeptics in the United States and elsewhere have noted that, in some cases, the PRC has lent countries more than they could ever hope to repay (China Brief, August 10; Times of India, June 27). Beijing appears to appreciate the risk this criticism poses to the BRI. PRC domestic propaganda organs have begun to note the need for BRI investment to move in a more “high-quality” direction, while publicly available data suggests that the PRC dramatically scaled back its BRI lending during the past two years (China Brief, August 10). Beijing has also begun to push back against external skepticism through a wide variety of channels. The World Bank recently came to Beijing’s aid in this respect, publishing a report that strongly endorsed existing BRI investment. The report’s conclusions, however, are based on highly dubious assumptions, and raise the question of whether the Bank’s timely, unqualified endorsement was a form of “relationship management” with one of its most important shareholders. A proposal by a group of apparently government-linked scientists and engineers to divert water from Himalayan glaciers to the arid province of Xinjiang, in the PRC’s northwest, caught the imagination of the PRC internet after the first conference held for discussion of the project in November 2017. Following the wide attention on the Chinese-language web, articles on the proposal—known as the Red Flag River Project (红旗河方案)—soon made their way into English-language media, and were picked up across the world. The proposal, which would divert enormous amounts of water northward, was greeted with particular alarm in parts of the Indian press, since Himalayan glacier melt is an important source of water for two of India’s most important rivers, and the two countries have a long history of disagreement and mistrust related to use of the region’s scarce water resources. The proposal was, in all likelihood, a fraud perpetrated by an unscrupulous entrepreneur seeking to raise money for a lending scheme. PRC internet users, accustomed to the pervasiveness of “fake news” on the Chinese-language internet, quickly sniffed out the falsehood, and buried the Red Flag River proposal under a mountain of online skepticism. In the PRC, the promise of 3D printing (三维打印 or 3D打印技术) has stretched the boundaries of possible future applications. The PRC is pushing ahead with innovative ways of employing 3D printing across all sectors of its economy, from prosthetics to titanium-based aerospace parts, to a sustainably-built bus stop shelter outside Shanghai (Winsun, 2017). The PRC is also pioneering concepts and applications for 3D printing of materiel, weaponry, and munitions for use by the People’s Liberation Army (PLA). This article reviews available literature from the PRC, including both military and civilian academic and scientific sources, to illustrate evolving views of the development and possible deployment of 3D printing. The nascent and notional concepts espoused in these articles stretching back to 2013 were important in laying the groundwork for many current 3D printing advances. As Wang Feiyue, a director at both the National Defense University of Technology and the Chinese Academy of Sciences states, quoting an old Chinese proverb, one must “cross the river by feeling the stones” (摸着石头过河) . In unusually blunt terms, former Chinese premier Wen Jiabao has warned the lack of water threatened the very survival of the Chinese nation itself. Most of northern China suffers from acute water shortage. The statistics are alarming: in the past 25 years, 28,000 rivers and waterways have disappeared across the country. The flow of the northern rivers has dramatically slowed or totally dried up. The iconic Yellow River, the second-longest in Asia, is now a tenth of what it was in the 1940s, and often fails to reach the sea. The "mother river" of Beijing — the Yongding — used to run long and wide. For centuries it was the lifeblood of the capital, but it has been totally dry for more than 30 years. HALIFAX: By turning reefs and atolls in the disputed South China Sea into fortified artificial islands, complete with anti-aircraft Surface-to-Air Missiles, Chinahas transformed “what was a great wall of sand just three years ago [into] a great wall of SAMs,” the US commander in the Pacific said here today. The militarization of the vital waterway for commercial shipping has been a major concern of Washington and its Asian neighbors for the past several years. But China’s increasingly aggressive challenges of American naval vessels operating in what the US and its allies consider international waters — including a near collisionof two ships in September — raises the specter of a deadly accident that might escalate into war. And if a war breaks out, the island bases become a strategic southward extension of China’s land-based defense against US ships and planes, known in the trade as Anti-Access/Area Denial (A2/AD). Forecasting events and trends in the Middle East is an inherently precarious enterprise. But from the vantage point of mid-2018, we must consider what Russia’s posture and the scope of its presence in the Middle East will be in 2025 and why. Compelling reasons exist for doing so today, and not only because 2025 is a little over six years from now. Following the massacre of protesting students in Beijing’s Tiananmen Square in 1989, US President George H.W. Bush’s administration limited its sanctions and kept lines of communication open, owing to China's strategic importance. Would a similar policy toward Saudi Arabia prove viable? While the connection between terrorist/insurgent groups and criminal organizations has been extensively discussed and debated,[i] less has been written on the fluidity of these identities. Why terrorist or insurgent groups abandon their political ideologies and simply pursue economic motives is an area ripe for exploration. Criminal organizations and violent extremist groups share many similarities; they rise up in areas with similar conditions, use the same tactics, have sophisticated structures, commit criminal acts, and at times cooperate with each other. The fundamental difference between them is a political ideology, or lack thereof. By examining the causes that compel terrorist groups to turn their attention to criminal enterprises, policymakers can design more effective means to counter violent non-state actors. Today is the fourth Thursday in the month of November. For most of the world, that doesn’t mean much. For our American readers, however, that means it’s Thanksgiving Day. All countries have their national holidays. In the United States, July Fourth celebrates the Declaration of Independence, Memorial Day honors America’s fallen soldiers, President’s Day and Martin Luther King Day commemorate the lives of important men in the history of the republic. But Thanksgiving doesn’t celebrate a specific event or honor a person or group of people for service to their country. Thanksgiving was created to help rescue the U.S. from its own self-destruction. It did so by contributing to the creation of an American nation, and its continued and enthusiastic celebration is a measure of its success. Today, Moscow is engaged across the entire Middle East in multiple and apparently mutually reinforcing ways. Apart from its military intervention in Syria, it now holds the balance between Israel and Iran as well as between Syria and Jordan. Russia makes energy pacts with Saudi Arabia that eclipse the Organization of the Petroleum Exporting Countries (OPEC). In Iraq, Moscow has leverage with both the Iraqi government and the Iraqi Kurds. Russia has established a robust partnership with the United Arab Emirates (UAE) that transcends the Middle East to include Sub-Saharan Africa. And Russia has done all this while simultaneously making economic deals and negotiating arms sales with the Qataris, the UAE and Saudi Arabia’s Gulf rival. Russia also now polices the Golan Heights. [i] At the same time, it apparently now aspires to play a mediating role in the Israeli-Palestinian conflict that has defied generations of international efforts at conflict resolution and is being called upon on by the Arab League to undertake just such a role. [ii] In North Africa, Russia is simultaneously mediating Libya’s civil war and being invited to make a decisive move on behalf of the east-based Libyan National Army, led by General Khalifa Hafter, one of the warring parties there. [iii]In Morocco, it is now trying to play a part in the diplomatic skirmishing going on around the war in the Western Sahara. [iv] Yet, at the same time, the Kremlin has sold Algeria weapons with which it could confront Morocco. [v]Furthermore, Russia is apparently trying to play a mediating role in Yemen’s Civil War as well. WASHINGTON: Few shocked faces were on display at NATO headquarters over the alleged Russian attempt to disrupt GPS signals during this month’s Trident Juncture exercise in Norway. The massive drill — which boasted 40,000 troops from all 29 NATO members, along with 70 ships, 150 aircraft, and 10,000 ground vehicles moving around Norway — was the alliance’s largest post-Cold War exercise. And Moscow took notice. Last week, Norway accused Russia of trying to jam GPS signals from a Russian base on the Arctic Kola peninsula during the exercise, and Finland on Monday summoned the Russian ambassador to express “concern regarding GPS signal disruption” earlier this month. And now Sweden has some questions. The International Monetary Fund has decided its time to sound the alarm about leveraged loans. It’s a $1.3 trillion global market comprised of debt built up by companies in precarious financial positions. The IMF expects global issuance of these loans to companies that are either heavily indebted already or have weak credit ratings to be around $750 billion this year, after a record $788 billion in 2017. Ten years after the global financial crisis, investors are once again showing increasingly risky behavior as they search for sources of high yield in response to a decade of low interest rates (enacted by central banks in response to the crisis). 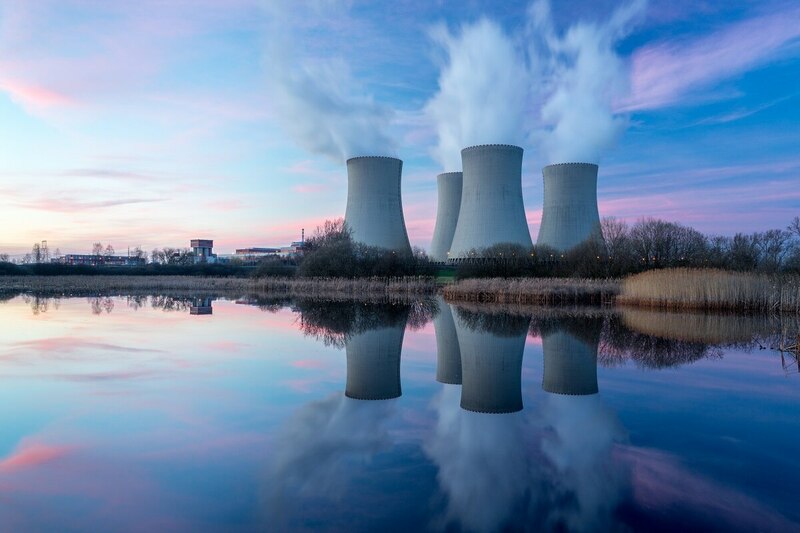 The largest market for leveraged loans is the US, where industries including technology, energy, telecommunications, and healthcare are using the debt to fund mergers and acquisitions, buyouts, dividends, or share buybacks. “In other words, for financial risk-taking rather than plain-vanilla productive investment,” the IMF said. Globalization and technology are intimately intertwined. The movement of people, goods and ideas is accelerated and broadened by new forms of transport and communication. And technological development is, in turn, enhanced by the diversity of ideas and the increased scale that comes from global reach. During each phase of globalization, technology has played a defining role in shaping both opportunities and risks. As the Fourth Industrial Revolution drives a new phase of globalization – “Globalization 4.0” – here are five things we can learn from looking backwards, and forwards, at the impact of technology. Mark Zuckerberg isn’t the first person in human history to draw inspiration from Augustus Caesar, the founder of the Roman Empire, but he’s one of a very few for whom the lessons of Augustus’s reign have a concrete urgency. Both men, after all, built international empires before the age of 33. “Basically, through a really harsh approach, he established 200 years of world peace,” Zuckerberg explained to a New Yorker reporter earlier this year. “What are the trade-offs in that?” Augustus, Zuckerberg explained, “had to do certain things” to ensure the stability of his empire. So too, apparently, does Facebook. A 6,000-word report published in the New York Times last week disclosed in humiliating detail the lengths to which Facebook has gone to protect its dominance and attack its critics. As various interlocking crises concerning hate speech, misinformation, and data privacy widened, top executives ignored, and then kept secret, evidence that the platform had become a vector for misinformation campaigns by government-backed Russian trolls. The company mounted a shockingly aggressive lobbying and public-relations campaign, which included creating and circulating pro-Facebook blog posts that were functionally indistinguishable from the “coordinated inauthentic content” (that is, fake news) Facebook had pledged to eliminate from its platform. In one particularly galling example, the company hired a political consultancy that spread a conspiracy theory accusing George Soros of funding anti-Facebook protests. 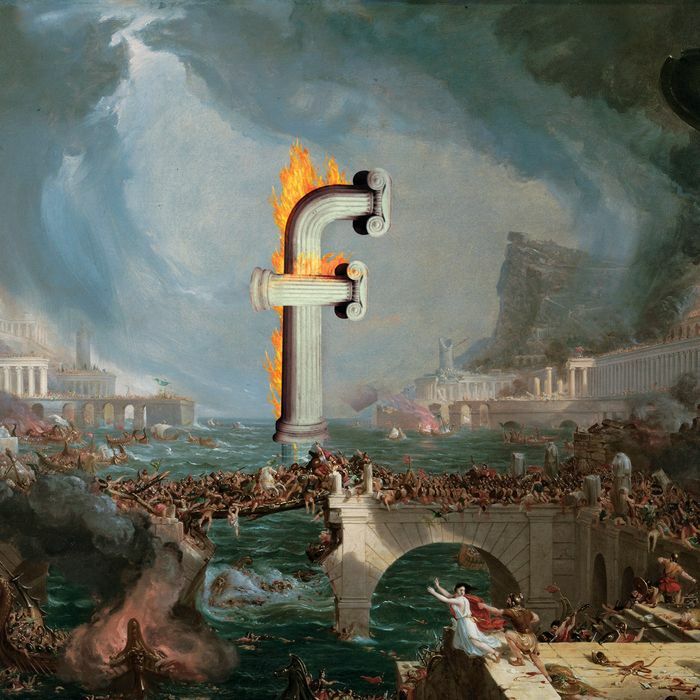 Zuckerberg, it seems, had taken the “really harsh approach” to establishing digital hegemony. Social media has played an increasingly important role in Middle East politics ever since the 2011 Arab Spring. State actors such as Iran and Saudi Arabia have sought to use social media to influence discourse at home and undermine rivals abroad. How will this new era of online opposition and internet troll armies play out? As ongoing wars in Syria and Yemen have dominated news from the Middle East in recent years, international public opinion has taken on a new level of importance for regional actors involved in these conflicts. Social media is among the principal influencers of this public opinion. It is a tool that has radically transformed worldwide communications and the way in which our societies share information and ideas. A November 16 discussion at the Center for the National Interest examined “information wars” for public opinion that have played out online in parallel to the numerous conflicts being waged across the region. Moderated by Gilman Barndollar, the director of Middle East Studies at the Center for the National Interest, the discussion featured Khalid Al-Jaber, director of the MENA Institute and a visiting assistant professor at Qatar University and Northwestern University in Doha, and Niki Akhavan, professor and chairman of the Media Studies Department at Catholic University of America. U.S. Cyber Command is putting a new approach into practice to better defend the nation from critical cyber incidents. Cyber Command’s new “defend forward” mantra has been described as fighting the cyber battle on someone else’s turf as opposed to fighting it at home. In other words, it means gaining access to adversary networks or infrastructure to get insights into what they might be planning. The much awaited strategy articulates how the DoD will combat strategic competitors such as Russia and China. Combatant commanders are asking for more support in planning cyber operations, Department of Defense leaders say, a sign that cyber is becoming a key element in mission preparations and is no longer an afterthought. Combatant commanders “want more capacity and capability. They want more planning expertise and really what they’re looking for is how do [they] bring planning expertise that understands the cyber domain and the other domains together so that they can have a holistic operational plan for the area of responsibility that they’re responsible for,” Maj. Gen. Robert Skinner, commander of 24th Air Force/Air Forces Cyber, told Fifth Domain in a November interview. Each of the heads of the service cyber components also provides planning, targeting, intelligence and cyber capabilities to various combatant commands. This relationship provides a connective tissue between Cyber Command and the combatant commands. For example, Joint Force Headquarters-Cyber Air Force supports U.S. European Command, U.S. Transportation Command and U.S. Strategic Command. The nature of cyber threats facing our military is constantly evolving. A U.S. Army cyber protection team, for example, may spend weeks training to defend a forward-deployed system only to find the threat has completely changed. Cyber teams are about to get a powerful new way to keep pace with those evolving threats. The U.S. Army is the lead agency that will procure a system that will change how all military services train and rehearse for cyber missions. To have a shot at winning the contract, industry must embrace the agile way Silicon Valley delivers software. The Army recently posted initial requirements for the Defense-wide system known as the Persistent Cyber Training Environment. 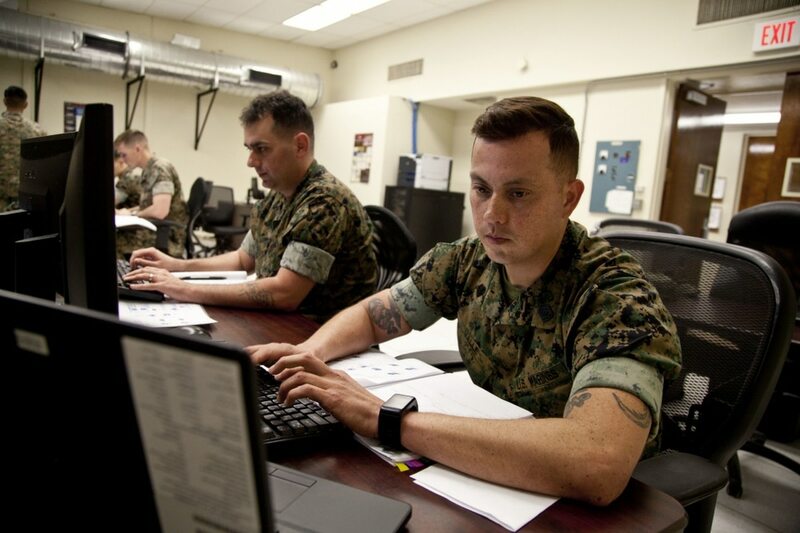 PCTE will provide a new training platform and connect cyber ranges across the Army, Navy, Marine Corps and Air Force, pooling their respective resources. The result will allow cyber units and individuals to train together across the globe. “The advocate of industry and enterprise, and journal of mechanical and other improvements”: that mission visually underscored the logo of our very first issue, dated Thursday, August 28, 1845. In the latest installment of Scientific American's delivery on that promise, we bring you this month's cover story, “Top 10 Emerging Technologies of 2018,” a collaboration between Scientific American and the World Economic Forum's Expert Network. What's an “emerging” technology? It must be a potentially disruptive solution that is poised to change the world. It must be drawing increasing investment or showing other signs of being ready to erupt globally in the next three to five years. It must offer significant benefits for societies and economies—although our specialist authors don't shy away from noting possible downsides in their articles about each innovation. The Army is shortening its timeline for delivering new synthetic training technology that will help warfighters prepare for battle. The synthetic training environment, or STE, is a next-generation paradigm for enhancing readiness. The Army plans to use a combination of gaming, cloud computing, artificial intelligence, virtual and augmented reality and other technologies to better enable soldiers to improve their skills, said Maj. Gen. Maria Gervais, deputy commanding general of the Combined Arms Center-Training. “Units are constrained by time, training area availability, relevant operational environment data and also resources required to make training iterative, realistic and relevant,” she said during a presentation at the Association of the United States Army’s annual convention in Washington, D.C. The Army and the Air Force are crafting a new combined air-ground combat attack strategy to improve warfare networks, perform long-range sensing of targets, strike enemies more effectively and strengthen defenses across multiple domains in real-time. 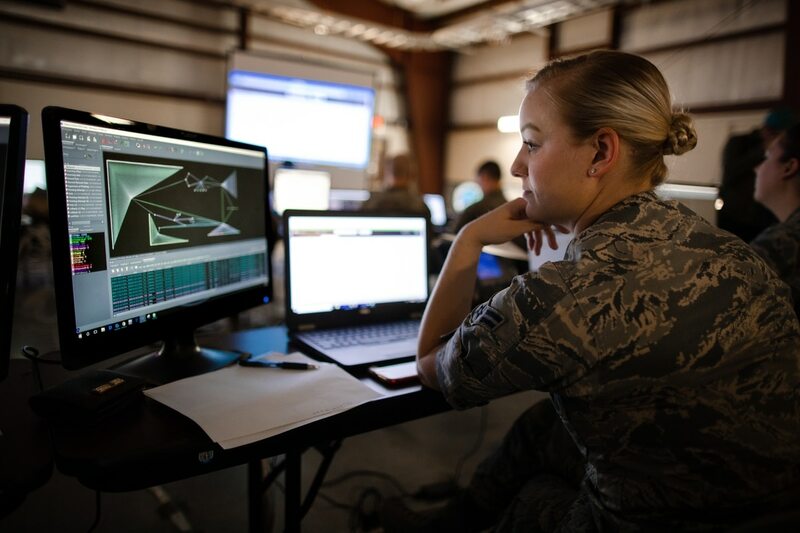 The Army-Air Force collaboration, called "Multi-Domain Operations," has included in-depth joint-service wargames; it is ultimately aimed at developing new doctrine, service leaders explained. “The goal is a joint Air Force-Army document,” Gen. John M. Murray, Commanding General of Army Futures Command, told Warrior Maven. A new Army-Air Force collaborate war strategy is, broadly speaking, discussed in terms of being a modern, or new iteration of the Cold War-era "AirLand Battle" strategy.